Richland Hills - Updtd Lghtng in HallBth! N'hood Pool/Plygrnd! MLS#2247985. 1128. Jones Dairy Farm - Please provide pre-qualifying letter &/or proof of funds with all offers. 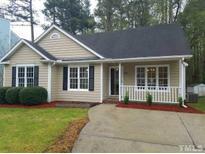 MLS#2248484. 1540. Staffordshire - This one should not last long. MLS#2246074. 636. Wakefield Estates - A brand new roof. A truly magnificent home! MLS#2247830. 2581. Millrace - Addition 3 car garage w/ 650sqft of heated/cooled activity space. MLS#2247906. 297. Kenwood Reserve - 3-car garage. 1-Yr Home Warranty. Back-up Generator. MLS#2247499. 1127. 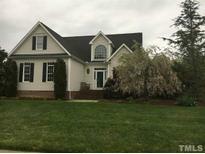 Family Room: BoxedBeam Accnt Ceiling, Cstm Srrnd GasLog Fireplace w/Built-ins & Mantle! Bonus Room & Storage! MLS#2247890. 1128. Dansforth - Roomy master suite with tray ceiling. Bonus room. MORE! MLS#2247877. 3261. Enjoy local shops, restaurants, playground & the community salt water pool. Walking Trails & nature abound! MLS#2247814. 1128. Full, detached apartment includes kitchen, bedroom, & full bath. MLS#2247211. 4852. Hand scraped flooring throughout except secondary bdrs. Large bonus room. MLS#2247883. 987. Richland Hills - Open floor plan, storage galore, & private lot make this home stand above the rest! MLS#2247995. 4821. 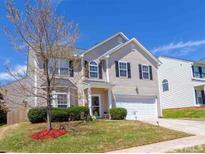 Cimarron - This One Is A Must See! MLS#2247813. 5026. New Forest - Deep Front Porch, Expansive Decking, Interior is like a breath of fresh air....beautiful hardwoods, Crisp Coastal Wainscoting in Dining Room, Spacious Open Kitchen w/Cherry Cabinets, Center Island, 2 greenhouses, Active Stream-Smith Creek runs across back section of property with 14 acres. MLS#2247206. 476. Majestic Oaks - Open, flowing floor plan showcases double trey ceilings, custom millwork, crown moulding, wainscoting, stone fireplace, chef's kitchen, vaulted ceiling in screened porch, paver patio with fire pit, upgraded light fixtures and full access to Heritage Golf Course amenities MLS#2247436. 5026. Relax on a screened in porch overlooking a large .69 Acre wooded lot. MLS#2247687. 5180. Stonegate - MastrBA w/TileFlr, Dual Vanity w/Makeup Countr, Chrome Fixtures, GardnTub & Separate Shower w/TileSrrnd! Office/LivRm! Bonus Room w/Bltn Entertainmt Centr! MLS#2247613. 1128. The Preserve At Smith Creek - Screened porch, stamped concrete patio with stone firepit. Cul de sac. Wooded backyard. MLS#2247653. 3448. Detached 2 car gar w/unfin 2nd floor, plumbed for full bath, can be finished! Great swim community. MLS#2247782. 1757. Dansforth - Dual vanity in master. Mint condition in pool community MLS#2247065. 983. FamRoom: w/HWD Style Flooring, Triple Window, & Black Slate Surround Gas Log Fireplace w/Custom Wood Mantle! Large Upstairs Loft! MLS#2247622. 1128. Bishops Gate - Two decks, Hardwood floors, Cathedral ceilings in Family Room with gas log fireplace, Formal Dining room, 1-car attached and 2-car detached garages, Master suite with large shower and tub. MLS#2241415. 4870.